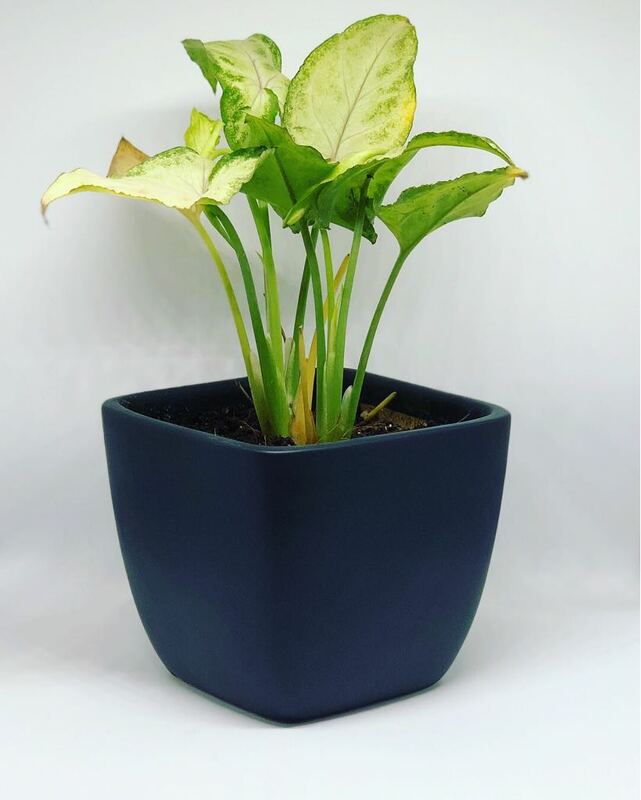 Syngonium Dwarf is a simple, elegant and versatile houseplant with its conditioning to contain in small container. It has lively foliage and a variety of variegation on the leaves which start out heart-shaped, then gradually become arrowhead shaped as they mature. Its dark-green leaves have silvery white or cream variegation. It is an excellent choice of plant to be used for decorative purposes. Its silver-white, green decorative leaves Syngonium Mini looks outstanding in fancy containers and is suitable for terrarium and hanging baskets in the living room. It needs medium care and can be watered every alternate day.